This beautiful 18-hole public course was opened in 1929 and has been owned and operated by the CIty of Mentor since 2005. The course has been steadily upgraded with major improvements including a state-of-the-art practice facility, new tees, extensive drainage, and more. Whether your like to play course or just practice, come out and give us a try. We’re sure you will be impressed! The course offers golf schools, private lessons and a Junior Golf League serving more than 100 young golfers each summer. 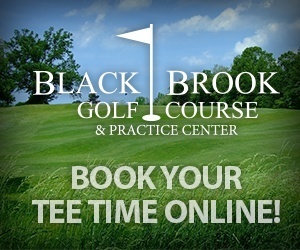 Black Brook offers a variety of leagues for men, women, coed, couples and juniors. Click here for more league information. Scheduled tee times can be booked one week in advance. Permanent weekend times can be booked upon request and are subject to availability. Groups of 20 or more may reserve times well in advance of intended play date and are encouraged to book as early as possible. Call (440) 951-0010 to schedule your tee time or book online. 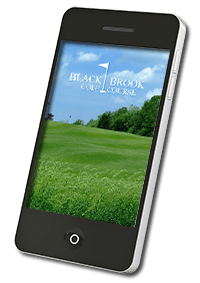 Download the Black Brook GC App to enhance your golf experience on the course. This app includes an interactive scorecard, golf games (skins, stableford, par, stroke, scoring), GPS, measure your shot, player profile, hole descriptions and more!